The desire of Granduc Operating Company to attract and stabilize a labour force for their operations in the isolated Stewart-Tide Lake area led to the early realization that the amenity of the housing provided and the overall orderly development of the community of Stewart, B. C. was of paramount importance. 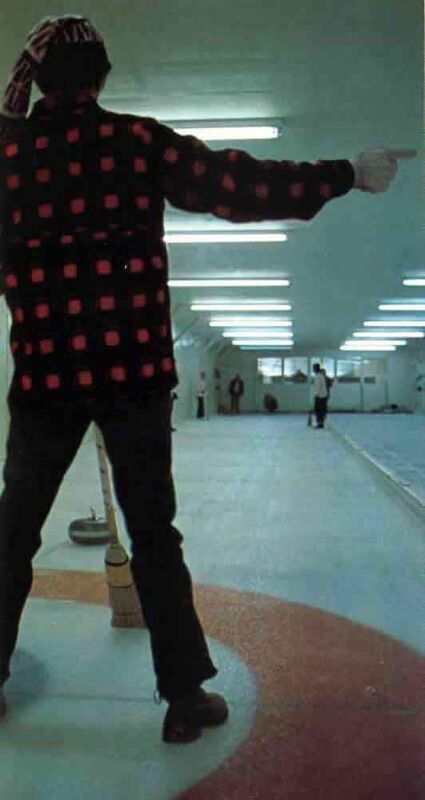 Curling at Tide was only one source of recreation for many employees, who competed with other teams from Stewat.Stewart is an historical mining center that since the turn of this century has been dormant awaiting new development that would revitalize its economy and provide the impetus for regrowth. The decision of Granduc Operating Company to locate married employees here was to create that opportunity. The firm of McCarter, Nairne was retained to analyze and make recommendations to Granduc Operating Company on a broad base as to the form and amount of employee housing required; its relationship to the existing village of Stewart, and to undertake detailed design -management responsibility for its construction. Many of the 750 men who worked at Granduc lived with their families in the growing town of Stewart. The original town, established more than 100 years ago by the four Stewart brothers from Victoria, was a way station for trappers and hunters and for the few daring prospectors who ventured into the mountains in search of silver and gold. Not long after the Klondike rush, Stewart's population was 10,000, but by 1920, only 17 residents were left. The town had been growing dramatically since the decision in 1965 to open the Granduc mine. The company had constructed a residential suburb of modern homes, apartments and town houses, which Granduc employees rent at reasonable rates. The Stewart community's leaders had planned carefully to satisfy the needs of growing families. Among the first new buildings were a small but completely equipped hospital and a new school to accommodate the growing school-age population and to provide local facilities for complete primary and secondary education through grade 12. Then, a second school had been completed, larger than the first and devoted exclusively to secondary grades. The Community Center with its meeting rooms and recreational facilities, including skating and hockey, provided a focus for much of Stewart's social activity. Stewart enjoyed a distinctly milder climate- almost three additional months of warm weather-than at Tide Lake. The Portland Canal, which borders Stewart, remains ice- free through the year . It is not surprising, then, that so many Stewart families enjoyed boating and fishing, as well as hunting in the nearby forests. The people who live in Stewart were proud of the town's progress in just a few short years, and they share a common interest in providing the best opportunities for their families. By common effort, the residents were making Stewart an attractive place to live and work.